BEFORE THEY EAT FLOWERS IN THE GARDEN. Touch to fly & collect nectar from flowers. Level up your flowers to get more power against monsters. Guide friendly bees to collect nectar. Touch two fingers to fire bees like a missles and take down balloon monsters. Monsters can eat flowers and convert them into hungry sundew. Heal sundew flowers by cutting them with saw. You need to survive as long as possible. The key to success is to keep all flowers alive and level up them as fast as you can. You can level flowers just by collecting leafs from them. Every time the flower level up it will change color and leaf count. Making all flowers black is the final achievement in the game. Every time you play you earn credit points. Enjoy and remember BEES are important! 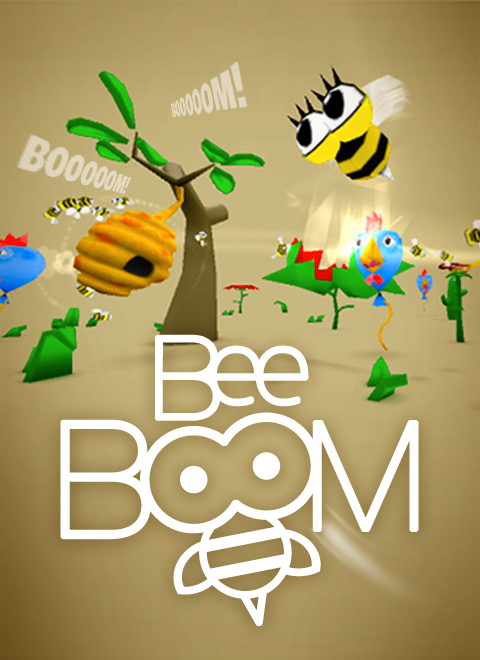 To promote BeeBoom and grow its popularity (top games), use the embed code provided on your homepage, blog, forums and elsewhere you desire. Or try our widget.